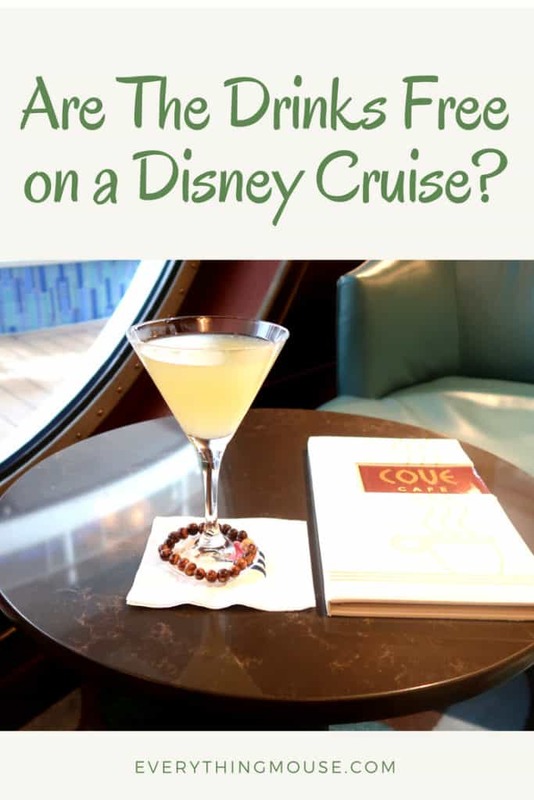 / Disney Cruise Line – Are the Drinks Free? 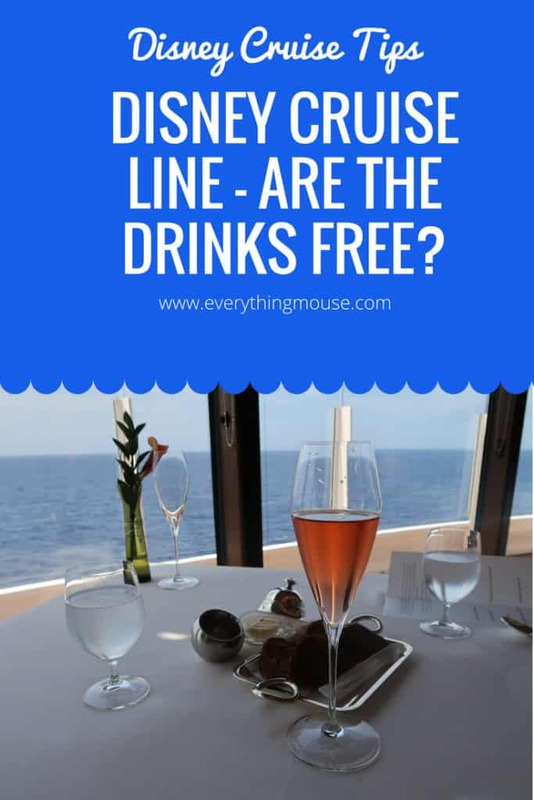 Disney Cruise Line – Are the Drinks Free? Are the drinks free on the Disney Cruise Line Ships? Find our which drinks are free on a Disney Cruise and which you will have to pay extra for. Unlike many other cruise lines, Disney Cruise Line has free soda at the self serve beverage station which is open 24 hours a day. This can be a very significant saving, particularly when you have a family who loves soda. On each of the Disney cruise ships, the free beverage station is on the pool deck. On the Disney Wonder and the Disney Magic, the beverage station is on Deck 9 close to the Mickey Pool and the Cabanas Buffet. 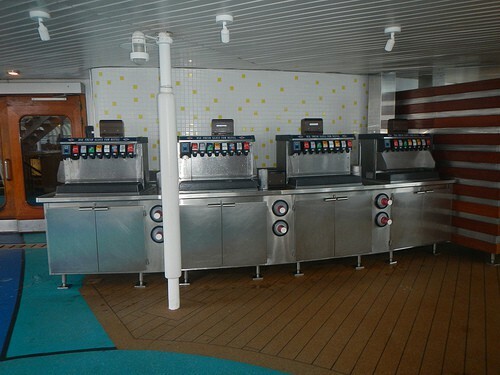 There are two beverage stations on Deck 11 of the Disney Dream and Disney Fantasy – one on each side of the pool deck. You will have to pay for any soda or beverage you order in any of the bars. However, you can have your choice of soda or soft drinks in the restaurants on board a Disney cruise ship and you will not be charged. If you want a specialty drink such as a smoothie, cocktail or other alcoholic beverage in the restaurant you will be charged for this. If you enjoy good coffee it is probably best to avoid the mix served at the free beverage stations. It really is not the best! They serve Joffery’s Coffee on board Disney ships. You do get a reasonably decent cup of coffee in the Disney cruise restaurants but not from the self serve machines in the buffet and on deck. If you don’t mind paying for your coffee you do have other choices. 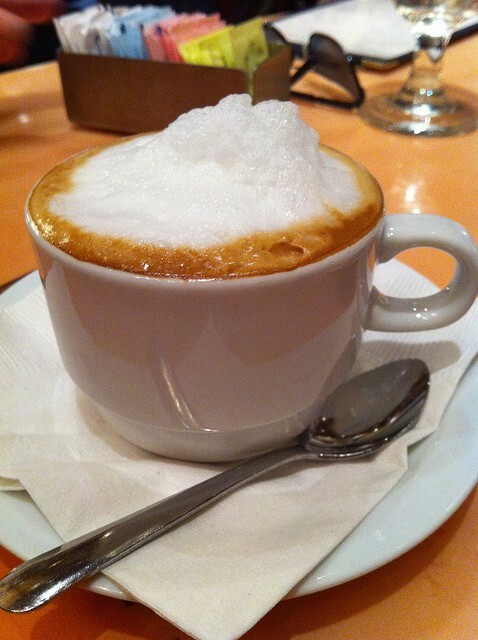 Much better coffee is served in the specialty restaurants, Palo and Remy. 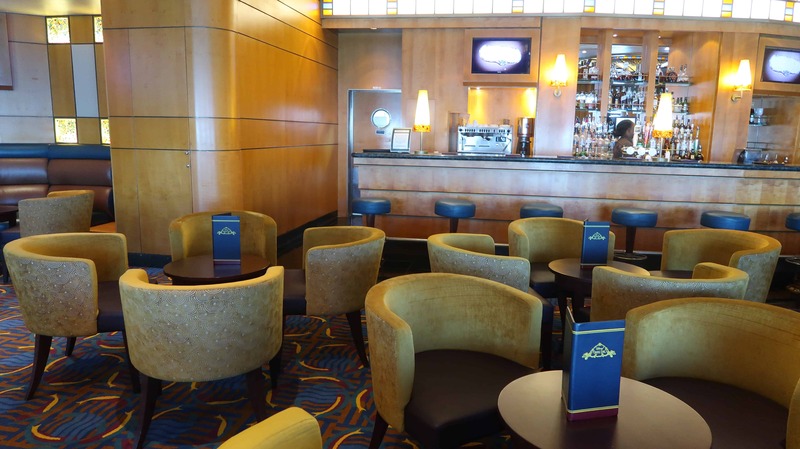 You can also get a good cup of coffee in the Cove Cafe which is on board all of the Disney cruise ships. 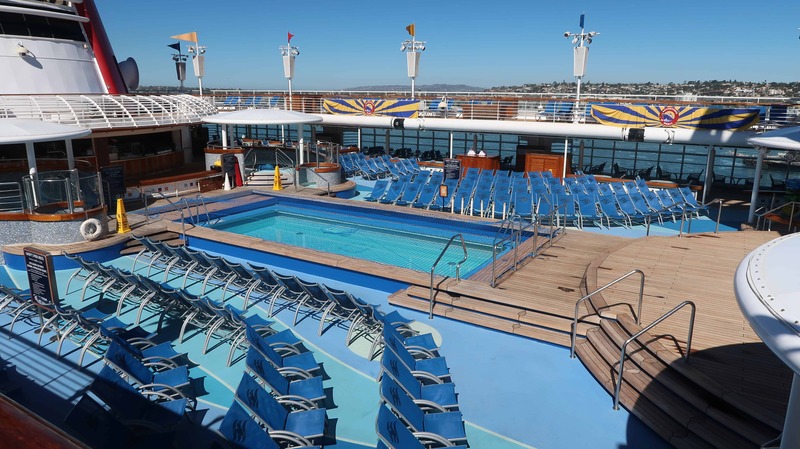 The Fantasy and the Dream also have the Vista Cafe which is located on Deck 4. Specialty coffees are priced around the $4 to $5 range. The Cove Cafe also serves wine and martinis. The Cove Cafe and the Vista Cafe also have very tempting cakes. These are free all day. All you need to do is bring your favorite coffee beans and you can get boiling water from the pool deck. Specialty coffees are priced around the $3.50 to $4.50 range. The Cove Cafe also serves wine and martinis. The Cove Cafe and the Vista Cafe also have very tempting cakes. These are free all day. As you would probably expect alcohol is not free. The prices are pretty reasonable for a cruise line though and you can save money by choosing one of the wine packages. You can choose from the Classic Package and the Premium Package with options from 3 to 7 nights available. Prices range from $85 to $300 for each package. You can bring your own wine and alcohol on board to drink in your stateroom. Each adult guest can bring up to 2 bottles of wine, or 6 bottles of beer. All bottles have to be carried in hand luggage. This is not a party ship cruise line so most guests will probably only bring a couple of bottles on board. 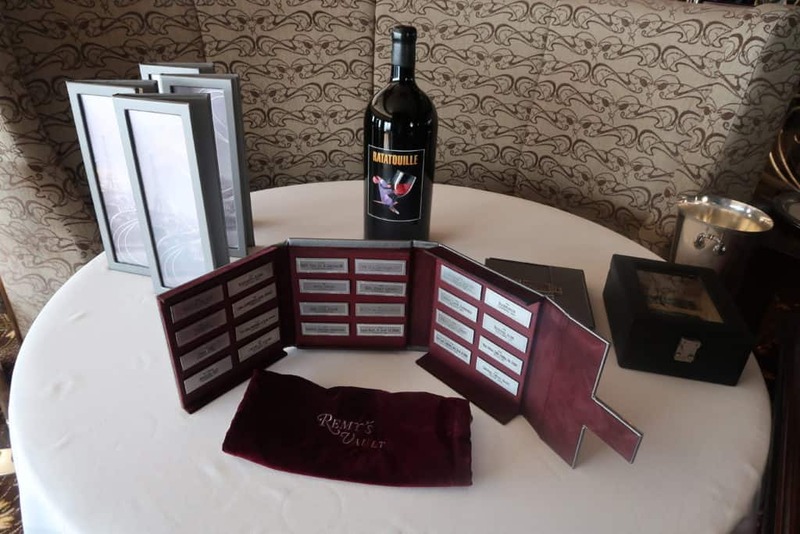 There is a $25 corkage charge if you want to consume your own wine in any of the restaurants. If you are sailing Disney Cruise Concierge there are free drinks available in the Concierge Lounge. It is open from 7 am until 10 pm every day and you can get free soda, soft drinks, juice, milk, bottled water, and tea. Concierge Guests always marvel at the amazing specialty coffee maker in the Lounge. There is also a Concierge Cocktail Reception in the evening with complimentary beer and wine available.